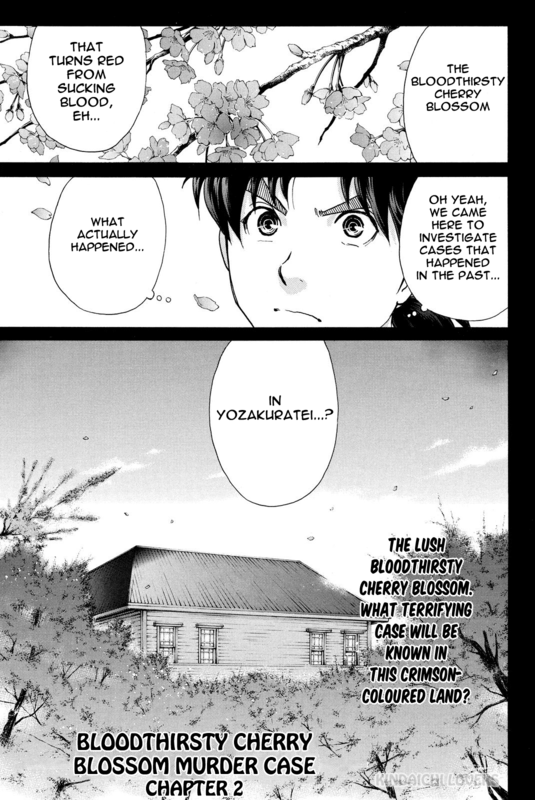 The History of Bloodthirsty Cherry Blossom. Kindaichi, Miyuki and Saki No.2 starting collect data about the bloodthirsty cherry bloosm in Yozakuratei Inn. But, in the end of the night, one of Yozakuratei Inn visitor had been killed by someone.